“Man versus alien in desperate battle” screams the subtitle to the current edition of Games Workshop’s miniature-based board Space Hulk. Something of a legend among certain sections of the board gaming community, Space Hulk has spanned three table-top editions and three computer game adaptations. The most recent, 2009 limited edition, iteration of the board game, won several awards according to boardgamegeek.com. The 2009 edition was re-released in September this year. 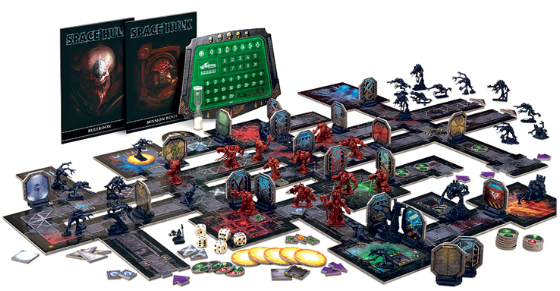 Through a turn- and dice-based system, players compete to achieve victory for one of two factions: the ‘heroic’ space marines and the ‘evil’ genestealers. The former represent the elite genetically-engineered supersoldiers of the (arguably fascist) ‘Imperium of Man’ while the latter represent an alien race of six-limbed monstrosities. Both sides have divergent tactics and objectives aboard a giant, ancient, derelict space ship (the ‘space hulk’ of the title). This post attempts to conduct a tongue-in-cheek analysis of the board game utilising different branches of social scientific theory, concluding with some broad thoughts about the appeals of imagined universes like that of Space Hulk. Firstly, some further information on the setting of the game and how this translates to the board game itself is required. The two opposing forces have contrasting motivations and tactics. The space marines are on a double quest to salvage useable technology and knowledge from within the depths of the ship and to eliminate the threat of the genestealers to humanity. As the ostensibly human ‘good guys,’ the story revolves around the space marines and individuals important to the plot (typically commanders and special weapon troops) are named. They are deployed in small groups, usually of 5-10 soldiers, and utilise a variety of ranged weaponry. Victory is generally achieved through carrying out certain in-game tasks – e.g. destroying particular areas, moving through particular board sections or eliminating a set number or type of genestealers. Limited in numbers and resources, the space marine player is often in a race against time to achieve their objectives before they run out of troops. The speedy nature of the conflict is represented in game terms by the space marine player having a limited amount of time to complete each of their turns, forcing the player to make decisions and dice rolls quickly if they are to stave off defeat. The genestealers, on the other hand, seek to wipe out the squads of space marines, so that their infiltration of the human galaxy can continue. Masters of close quarters fighting and with a potentially infinite number of troops at their disposal, the genestealer player typically seeks to slow down the marines, whilst manoeuvring to outflank and overwhelm the space marine gun-line. Framed as inscrutable and utterly alien, space marines only represent a threat to the genestealers’ purposes. With the advantage of infinite resources and, without a timer, the clock is the genestealer player’s friend: the player can make their moves with leisure and can cheerfully sacrifice troops, safe in the knowledge that plenty more will appear as the game goes by. This combination of the setting (a claustrophobic battle for survival reminiscent of numerous other science-fiction tropes) and the rules come together to create a tense board game, involving both the skilful application of tactics and luck. The barely more recognisably human space marine (left) and genestealer (right). I propose that Space Hulk can be examined on three levels: the fictional setting, the game itself and how, in combination, fiction and game-mechanics link to and reflect the ‘real’ world. 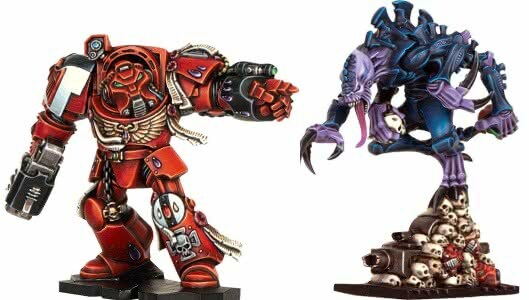 Firstly, examining the setting, there is a comprehensive and irrevocable divide between the space marines and genestealers. Although the two sides ostensibly inhabit the same galaxy, their experiences of reality are entirely separate and in conflict with one another beyond constant and inevitable battle. An example of the dissonance between the two sides is the way that the genestealers and space marines conceive of the ‘space hulk’ they battle across. To the space marines, the space hulk is a dark, forbidding, dangerous unknown that can also provide a source of riches to the brave. To the genestealers, the giant star ship they inhabit is a comfortable conduit to new realms and conquest, a stage in a journey that the forces of humanity threaten. The framed alterity of the two sides is complete beyond the fighting; there are no messy alternatives, no negotiations, no other interest groups, no divergent interpretations of history, no disagreement within the two sides’ camps – only war. This setting of irreconcilable opposition allows for simplicity in game terms. Each mission has clear victory conditions that must be satisfied; usually the space marine player is complete particular objectives and the genestealer player attempting to stop them. Arguably, this is a strong part of the entertainment value of the game: “a complicated dispute over the form of reality in the disputed comfort of space” has a very different ring to it than “a battle to the death in the chilling depths of space” (Space Hulk second edition’s subtitle) and probably plays out somewhat differently. Simplicity has its appeal beyond the confines of board games. Indeed, many current policy disputes in the real world are dominated by efforts to institute a simplistic form of reality. For example, during recent debates on immigration in the UK, right-wing politicians and journalists have seemingly instituted an elegant framing of a complex situation. Within this framing, uncontrolled immigration is the cause of a myriad of social problems and the simple solution is to restrict it. Time and again in geopolitical disputes, there is an appeal to the idea of a single, simplistic, definite understanding of complex reality with concomitant clear rules regarding the nature of disputes and their resolution. Utilising the language of Space Hulk, problems can be conceived of as ‘missions,’ where ‘objectives’ need to be achieved for ‘victory’. Social science (and particularly anthropology), however, takes issue with such simplistic approaches to otherwise complex, complicated, ‘messy’ situations. For example, the ‘ontological turn’ within social science, has drawn attention to the politicised nature of defining and instituting particular forms of reality (Latour 2004). Beyond the ontological turn, cultural theory has problematised the idea that instituting a single, agreed definition of problems as a necessary first step in any policy setting (Verweij et al. 2011b). Instead, cultural theorists assert that what are desirable are ‘clumsy’ “noisy and argumentative institutional arrangements” (Thompson 2008). According to cultural theory, “there are four primary ways of organizing, perceiving and justifying social relations (usually called ‘ways of life’, or ‘social solidarities’): egalitarianism, hierarchy, individualism and fatalism” (Verweij et al. 2011a:3). Each solidarity then tends to produce different ways of perceiving nature; thus, in any given conflict, there is likely to be four plausible yet conflicting accounts of the situation. In this thinking, complex social situations are built on the combination of these limited fundamental forms of social organisation. According to cultural theorists, ‘clumsy institutions’ provide a space for all four groups (although fatalistic actors are usually silent) to be able to respectfully discuss any matter at hand. What is produced is a “vibrant multivocality In which each voice puts its view as persuasively as possible, sensitive to the knowledge that others are likely to disagree, and acknowledging a responsibility to listen to what others are saying” (Thompson 2003:5111). Returning to Space Hulk, the game setting is ‘elegant’ ‘closed hegemony’; it is based on the logic of one dominant social solidarity. In this case, the hierarchical solidarity – the universe is understood to be largely indifferent to the actions of the combatants, yet can be managed in a ‘rational’ manner. In such a situation, individuals under the control of qualified commanders within firm, nurturing and long-lived institutions can safeguard the interests of all within their faction by achieving victory in each mission (cf. Thompson 2003). Now, part of the appeal of both science fiction and board games is the role they can play in escapism. As such, I don’t begrudge Space Hulk its elegance. It’s fun. As other posts on this site make clear, however, science fiction and fantasy have a role in perpetuating and reinforcing particular discredited attitudes and narratives regarding the ‘natural’ progress of history and the separation and alterity of different cultures. It is not hard to find examples of simple, morally unambiguous ‘un-messy’ fictional realities, for example the situations depicted in the Star Wars films and the Lord of the Rings have remarkably clear resolutions considering the scale of conflict. Space Hulk has a similar approach: there are no clumsy solutions on Space Hulk unless one were to change the rules. The question of the extent to which the games we play and the worlds we imagine have on our daily lives remains open and complex. To my mind, however, it is sometimes worth thinking about what fantasy realities mean for the ‘real’ forms of reality we construct and act upon. See you at your local hobby shop for the next pan-galactic conference for fostering greater understanding of potentially-inhabited, unpowered space craft! 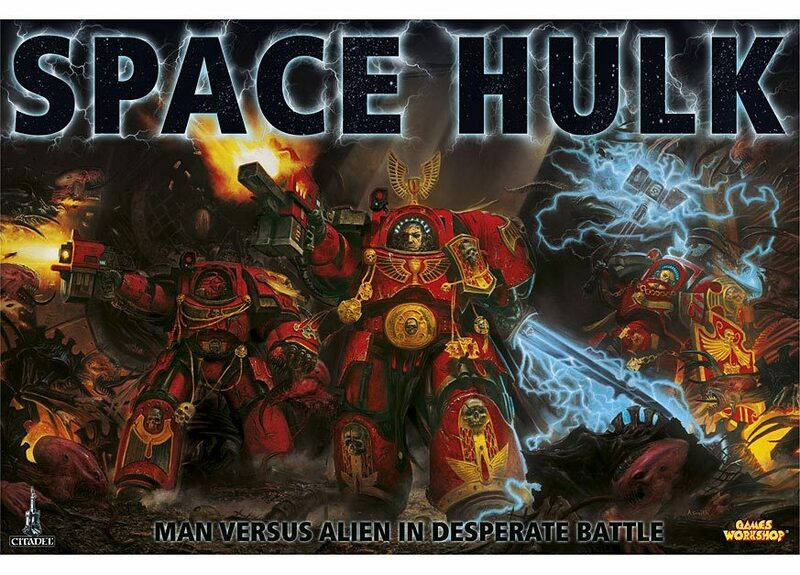 The front cover of the most recent edition highlights the opportunities for dialogue within space marine-genestealer interactions. LATOUR, B., 2004. Whose Cosmos, Which Cosmopolitics? : Comments on the Peace Terms of Ulrich Beck. Common Knowledge, 10(3), pp. 450-462. THOMPSON, M., 2008. Clumsiness: why isn’t it as easy as falling off a log? Innovation: The European Journal of Social Science Research, 21(3), pp. 205-216. THOMPSON, M., 2003. 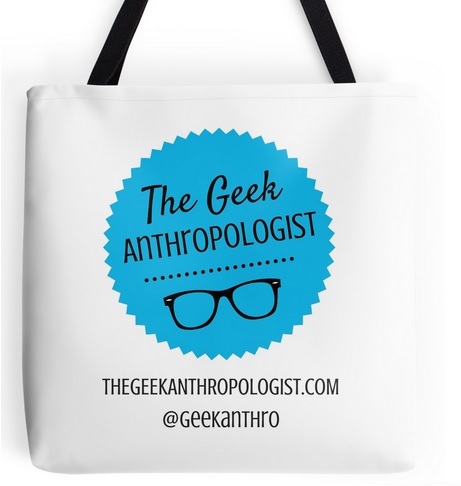 Cultural Theory, Climate Change and Clumsiness. Economic and Political Weekly, 38(48), pp. 5107-5112. VERWEIJ, M., DOUGLAS, M., ELLIS, R., ENGEL, C., HENDRIKS, F., LOHMANN, S., NEY, S., RAYNER, S. and THOMPSON, M., 2011a. The Case for Clumsiness. In: M. VERWEIJ and M. THOMPSON, eds, Clumsy Solutions for a Complex World. Basingstoke: Palgrave MacMillan, pp. 1-27. VERWEIJ, M., THOMPSON, M. and ENGEL, C., 2011b. Clumsy Conclusions: How to Do Policy and Research in a Complex World. In: M. VERWEIJ and M. THOMPSON, eds, Clumsy Solutions for a Complex World. Basingstoke: Palgrave Macmillan, pp. 241-249. I enjoyed your post very much. In the wider scope of the Warhammer 40k universe the genestealers are part of an alien hive mind known as the Tyranids. They evolve to consume all other life, essentially like a nightmare plague of locusts. They represent an existential threat to all other factions. They’re my favorite faction in their simplicity: they fight to consume. Every battle is for continuation of the species and evolutionary supremacy. It’s just nature, doing what nature does.